Our small, family-run hotel in central yet peaceful location, is embedded in the stunning Alpine scenery of the majestic Großglockner mountain massif and the picture-book pilgrimage church. Family Lackner warmly welcomes you! That's what we offer at lovely Berghotel HOIS! We offer homey, recently renovated rooms and apartments for 2-8 persons, all with balcony – some with barrier-free facilities! Let us spoil you with a rich breakfast in the morning, or an excellent dinner buffet prepared by our creative kitchen team. Contact us in case you have special requirements, such as health cuisine or ethnic food. Thanks to its central location, our hotel makes a wonderful base for walking tours and hiking adventures. We help you in planning your individual tour! Choose from pasture walks, hut hikes, ascents to Großglockner mountain, gold washing, visit to waterfalls, outings to the Großglockner high Alpine road, etc. Also take a closer look at the varied Hohe Tauern National Park ACTIVITY program! We await you in Heiligenblut am Großglockner! Fresh snow up to 3000 m above sea level (some regions feature snow-making systems), dreamlike ski runs, top modern mountain lifts amid the truly romantic landscape. pure bliss for body and soul! Heiligenblut am Großglockner makes a perfect holiday paradise. Our small, family-run hotel in central yet peaceful location, is embedded in the stunning Alpine scenery of the majestic Großglockner mountain massif and the picture-book pilgrimage church. We offer homey, recently renovated rooms and apartments (2-8 persons), all with balcony – some with barrier-free facilities! A free skibus shuttle takes you to the nearby bas station of the mountain lift (walking distance: approx. 10 minutes). Enjoy the most beautiful days of the year in a very special region at the heart of Austria. memorable days are guaranteed for young and old, single travelers or entire families. After a wonderful journey by train or plane you are invited to relax and unwind at our lovely hotel. Sports enthusiasts can choose from a wide range of activities! Let us spoil you with an excellent dinner buffet prepared by our creative kitchen team. Simply contact us in case you have special requirements, such as health cuisine or ethnic food. A perfect blend of typical Carinthian specialties, culinary pleasures and deeply rooted hospitality. We only serve fresh products from local farms, inspired by the Southern way life and the picture-book surroundings. 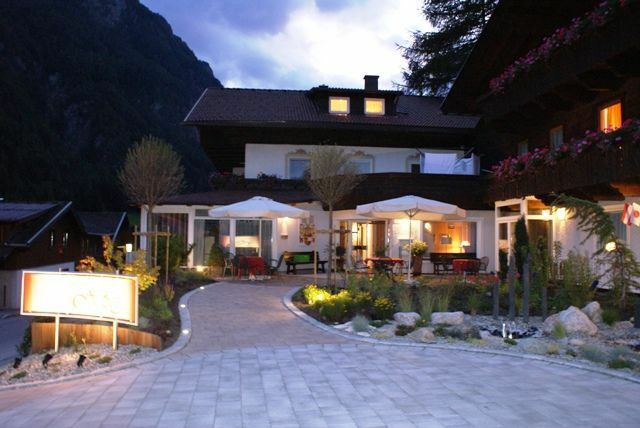 Awarded with the Austrian AMA Quality Seal we offer an infinite number of Carinthian products at our GOURMET INN!